Origin Musa is inherent to tropical regions of Southeast Asia and Oceania including the Malay Archipelago and Northern Australia. 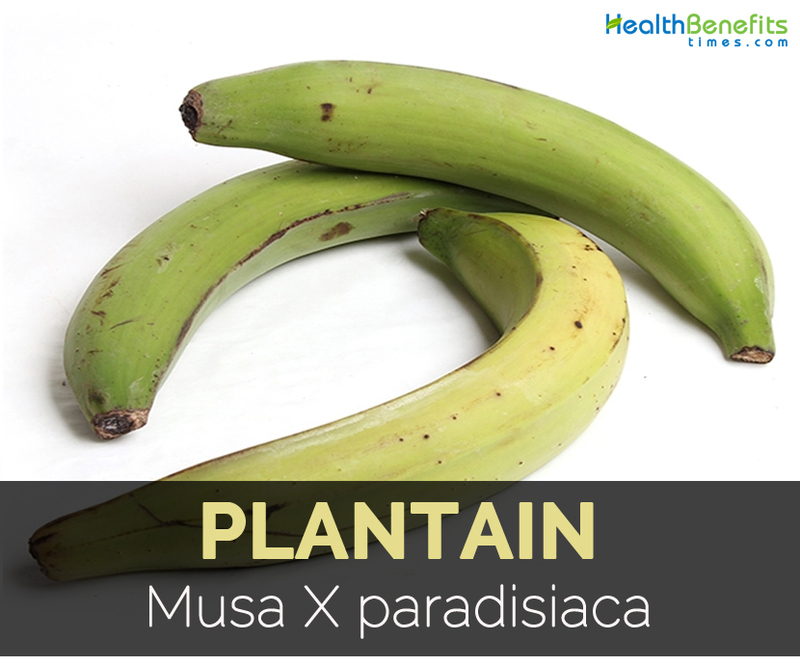 Many cultivated bananas and almost all cultivated plantains belong to triploid cultivars of Musa X paradisiaca. It is relied that the farmers of Southeast Asia domesticated M. acuminata. The cultivated plants then spread north-west into areas where M. balbisiana was inherent hybrids between two species that occurred and then further developed into various cultivars. About hundreds of cultivars of M. × paradisiaca are known which possess characteristics that are variable highly. Typically they are 2 to 9 meters (7 to 30 ft.) high when mature. The above ground part of the plant is pseudostem or false stem which consists of leaves and their fused bases. Each pseudostem bears single flowering stem. The pseudostem dies after fruiting but offshoots develop from the base of plant. 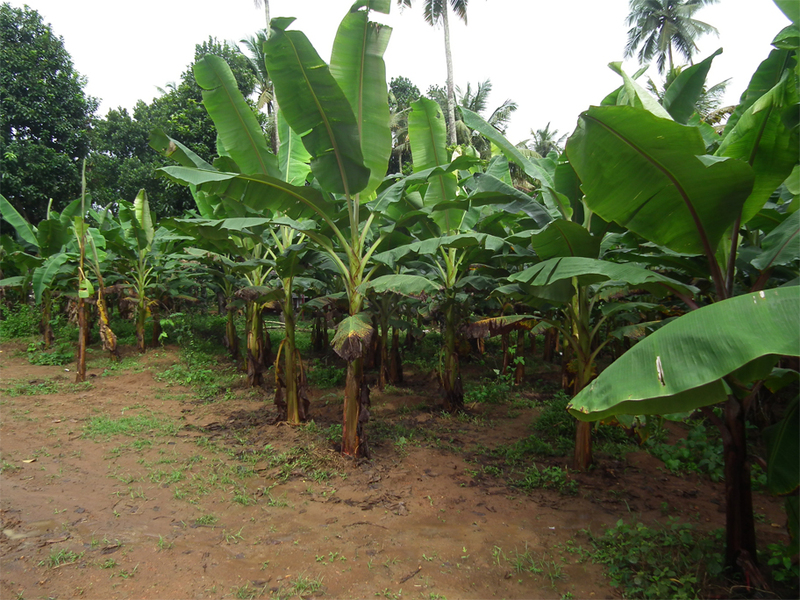 Plantain is a sterile triploid which is cultivated in warm climates for its tasty yellow skinned fruit. 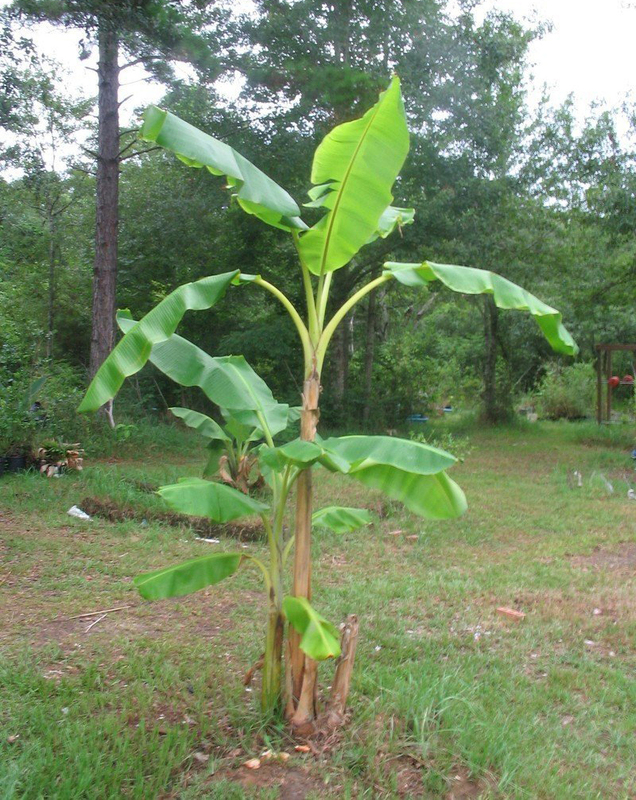 Commonly it is known as French plantain or edible banana. Various cultivars available in commerce range the height from 7 to 25 feet tall. It is the fast growing, herbaceous perennial plant which produce huge oblong to paddle shaped leaves which measures 8 feet long having leaf sheaths overlapping for forming trunk like false stem. 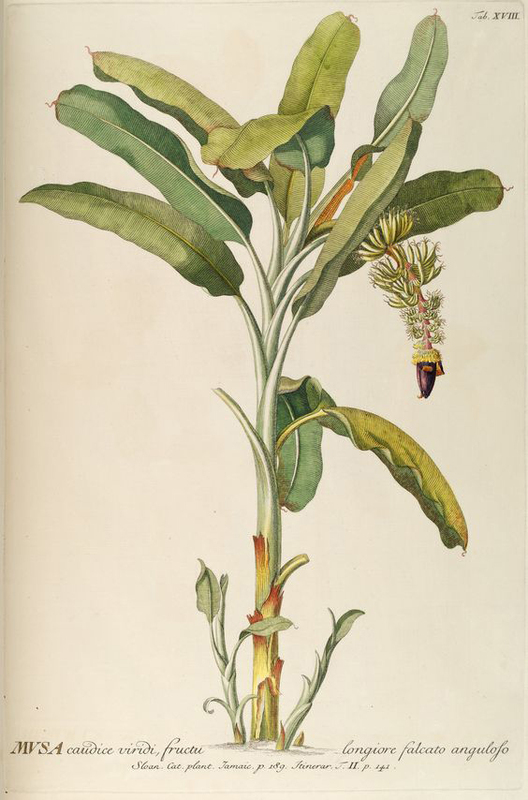 In summer, yellow flowers with purple red bracts appear on mature plants which are sometimes followed by edible yellow bananas. Younger plants will not bear flower and fruit till 2nd or 3rd year. Each pseudostem of Plantain plant flowers only once. The flowers grow at an end of its shoot in a large bunch which consists of multiple hands having individual fruits. The first few hands become fruits. In Vietnam, the young male flower is used for making salads. In Laos, flower is consumed raw or added to soup. In Kerala, Thoran is prepared with an end of the bunch. Leaves are used like plates in various dishes in South Indian Thali, Hallaca and Venezuela. Traditionally meals are served in Southern India on a plantain leaf. Plantain leaves adds aroma to a dish. 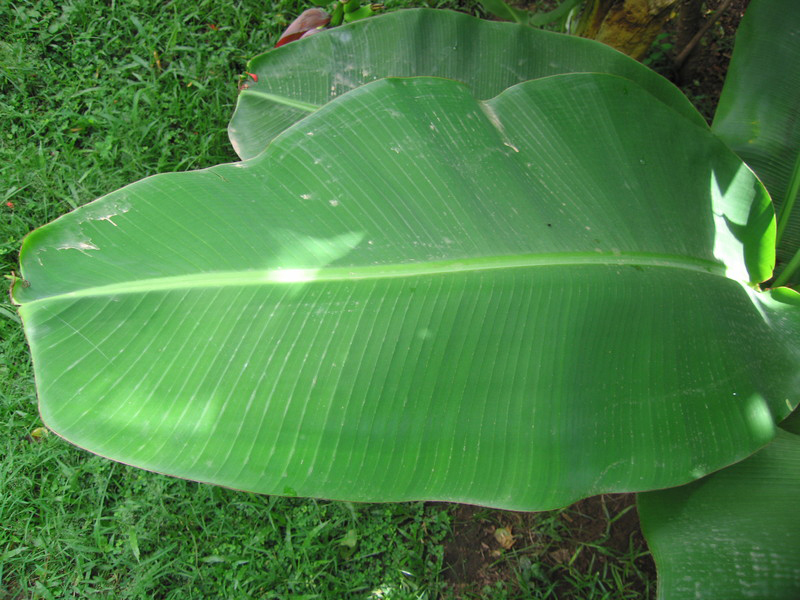 In Kerala, Ada is prepared in plantain leaves. In Kerala, it is used to make Karimeen Pollichathu. Leaves are large over 2 meters (7 feet) long. It is also used for simulate appetite. Leaves are used for wrapping different kinds of food in Nicaragua. It is also used to wrap seasoned meat to keep the flavor in while cooking. The dried leaves are used to wrap corn dough before it is boiled for making Fanti kenkey which is a Ghanian dish consumed with onions, ground pepper, fish and tomatoes. Plantain will fruit only once. After the fruit is harvested, the plantain plant could be cut and the layers peeled to obtain a cylinder shaped soft shoot. It could be chopped, steamed, fried with masala powder which makes an excellent dish which is known as Posola in Assamese. Plantains are referenced as far back as 2,500 years ago in history. The fruit was mentioned in Ancient Greek records of Alexander the Great’s travel to India. As he liked them, he ordered them to be cultivated in coastal domains in Africa. Linnaeus, the Swedish botanist named banana and plantain family Musa in 18th century after biblical Moses. 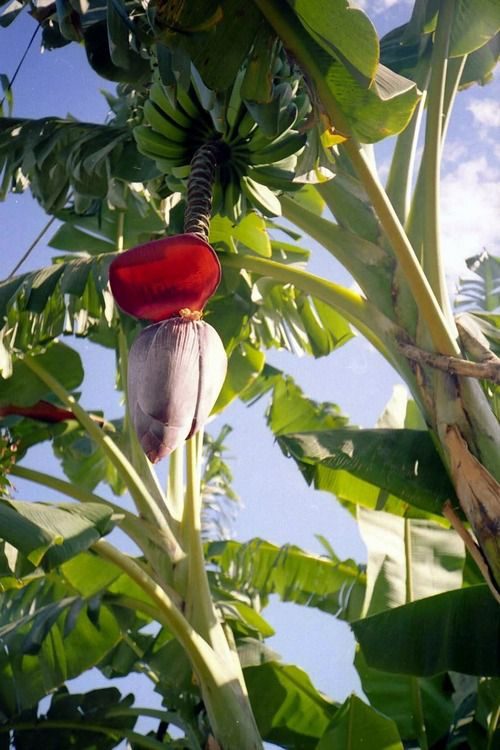 The plantain was named paradisico as he said it was the tree of paradise. Bananas as well as plantains are found in tropical climates all over the world which is originally inherent to Southeast Asian islands. The largest producers of plantains are African countries such as Rwanda, Uganda, Nigeria and Ghana. 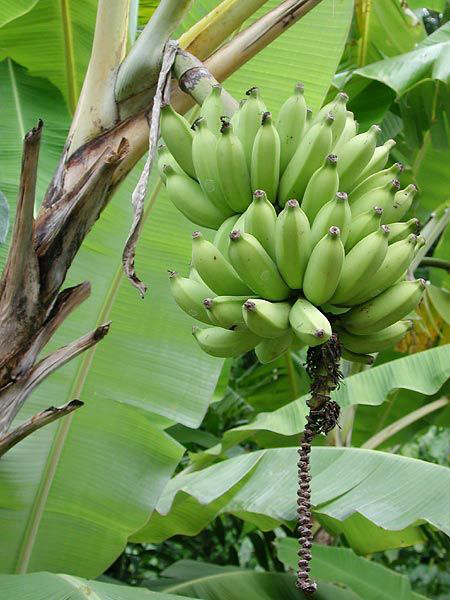 Bananas and plantains provide above 255 of food energy requirements for about 70 million people. Plantains are excellent sources of potassium as well as dietary fiber and also contain vitamins A, B2, C, and B6. Plantains are dried and also ground into flour. Plantain is an important food source contains 10.62% water, 3.55%albuminoids, 1.15% fat, 81.67% carbohydrates, 1.15% fiber, 0.26% phosphates, 1.60% sugar and other salts. Sucrose is the primary sugar. Plantains are also a great source of vitamin C. Plantains contains antimicrobial, anti-inflammatory and analgesic properties. It soothes insect bites, wounds but prevents infections and also accelerates healing. It has astringent property that provides cleansing effect on body. It dries excess secretions in respiratory tract and digestive system and is also helpful in treating diarrhea and colds. One cup of cooked, mashed plantains provides 913 milligrams of potassium which is 20% of daily recommended amount of potassium. The deficiency of potassium affects various functions of organs as well as processes. Potassium helps to regulate blood pressure by combating the effects of sodium. The addition of plantains to the diet is a natural aid for high blood pressure. The levels of potassium affects skeletal as well as smooth muscle contraction that allows regular muscular and digestive function. It assists to regular heart rhythm and the diet rich in potassium lowers the chances of osteoporosis, stroke and renal diseases. Fiber plays a vital role on digestive health. One cup of plantains offers fifth of daily recommended fiber which is approximately 25 to 30 grams. The diet rich in fiber such as plantains add bulk to the intake of food which supports digestion. The consumption of plantains provides relief from constipation, hemorrhoids and digestive problems such as diverticulitis. Fiber also makes feel full that assist in controlling weight. Increasing in intake of dietary fiber promotes weight loss in obesity patients. Soluble fiber helps to reduce cholesterol as well as blood pressure that prevent heart disease. It also helps to stabilize blood sugar. Free radicals form when the body breaks down food or when exposed to other harmful elements such as radiation or tobacco smoke which supports diseases, aging and cancer. Being an antioxidant, Vitamin C counteracts free radical damage. Plantains provides more than 35 percent of daily recommended intake of Vitamin C. The body is not able to produce it independently or can’t store vitamin so getting daily recommended amount of Vitamin C is important. Being one of the powerful vitamins, Vitamin C assist in growing and repairing of tissues in the body. It is involved in formation of protein which is used for making tendons, skin, blood vessels and ligaments and also maintains bones, cartilage and teeth. Plantains offer 36 percent of daily recommended intake of Vitamin A. Vitamin A is an another powerful antioxidant which provides numerous health benefits. With Vitamin C, it controls immune response that prevents the chances of illness and number of essential immune system responses relies on Vitamin A for its effective performance. Vitamin A assists in cell growth and skin health and is an essential element for healing of wounds. The antioxidant properties found in Vitamin A neutralizes free radicals and assist in preventing inflammation which is caused by overreacting cells. It supports healthy vision and eye health. Magnesium affects more than 300 biochemical reactions in the body. It helps to regulate blood pressure, prevent osteoporosis and also makes body healthy. Magnesium affects absorption of calcium which could reverse or avert osteoporosis. It lowers the chances of developing type 2 diabetes by controlling the levels of blood glucose, regulating insulin and carbohydrate metabolism. It is helpful for depression, insomnia and migraine headaches. The study shows that dried plantain powder has ulcer healing effect on aspirin induced gastric ulcer. Individuals who use nonsteroidal anti-inflammatory drug therapy for chronic pain and rheumatoid arthritis are highly prone in development of ulcers in membrane layer of stomach. The conducted study shows that dried plantains help to stimulate the growth of inner lining of stomach. Plantain lowers mucus secretion in airways which makes it effective in treating catarrh, colds, sinusitis, lung & bronchial allergic conditions such as asthma and hay fever. The herb possess antiseptic properties which makes it an aid for tonsillitis, sore throat and coughs. 200 grams of green plantain provides 5 grams of protein that makes it a great choice for lowering the levels of cholesterol. It is effective for preventing health problems such as obesity, diseases related with type 2 diabetes and cancer. The root juice is used for treating fevers, swellings and as a tonic for hair. Infusion made from pulp of trunk helps to soothe dysentery. An infusion made from sugarcane roots and banana leaf is used to hasten childbirth in Surinam. An unripe fruit is used as an aid for diarrhea. Place the fruit on forehead to provide relief from heat of headache. In NW Guyana, fruit is used for treatment of epilepsy. Plant is used for treating epilepsy, diarrhea, cough, headache, dysentery, bronchitis, wounds, furuncles and swelling. The syrup made from dried leaves is used as syrup for treating coughs and chest conditions such as bronchitis. Apply the juice of the root externally for treating swellings and carbuncles. It helps to prevent infections and speeds up healing. Due to high content of dietary fiber, it promotes healthy bowel movements and lowers the chances of constipation. It helps to enhance complexion of skin. 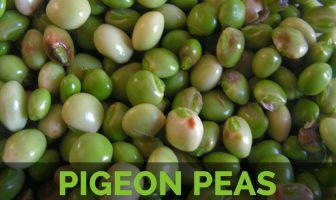 With a high content of potassium, it helps to control blood pressure and heart rate. It acts as a diuretic and prevents bladder and kidney problems. 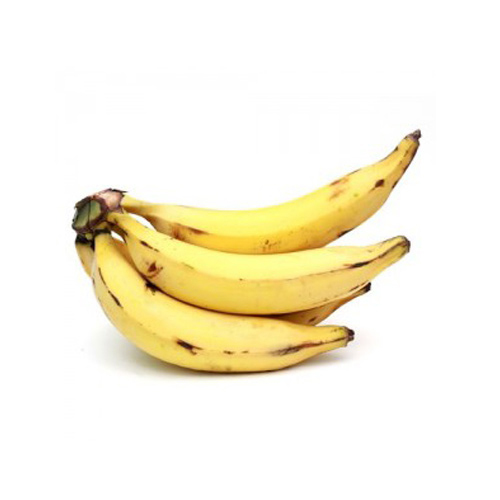 Plantains help to ease discomfort related with menstrual period. It is used for treating anemia, neuritis and lowers homocystein levels which are related with strokes and coronary artery disease. It might cause allergies such as mild swelling of tongue, lips, throat or palate, itching, skin rash, hives, problem in breathing anaphylactic shock or stomach complaints. It might cause severe gastrointestinal symptoms such as vomiting, nausea and diarrhea. Inflorescences are used as an ingredient in curries. It is cooked and fried. Yellow plantains are peeled and consumed raw. It is steamed, baked, boiled, grilled or microwaved. It is made into plantain soup. In Kerala, ripe plantain is used as a breakfast dish. Boiled plantain is consumed with cabbage stew or kontomire stew in Ghana of West Africa. Mix the boiled plantain with pepper, groundnut paste, palm oil and onion and consume it with avocado. Ripe plantains are consumed fried, boiled and then stuffed with sweetened black beans in Guatemala. The dried plantain powder is combined with little fennel seed powder and boiled in water or milk for making baby food to feed babies that are one year old. Boiled plantains are blended with spices, water and sugar to make chapo in Peru. Ripe plantains are boiled with coconut milk, sago, spices and sugar to make pudding in Kerala. 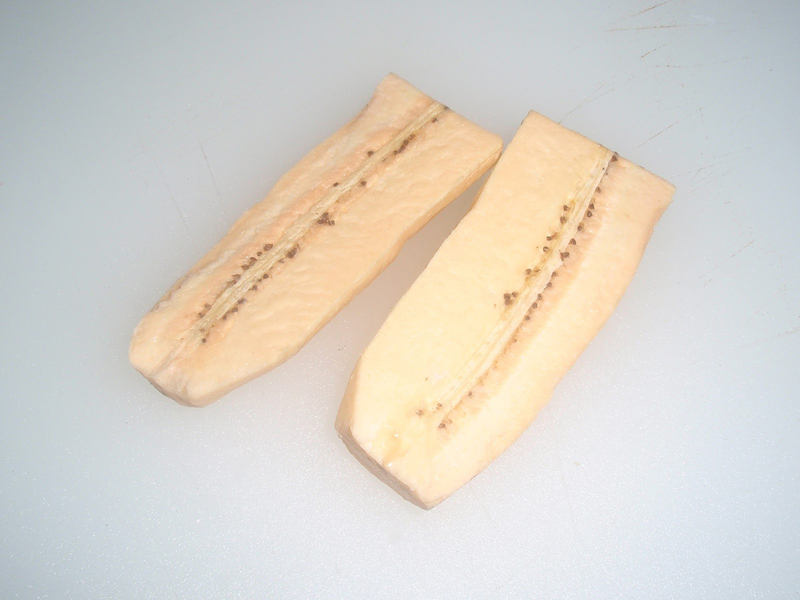 Thinly slice an unripe fruit after removing skin and deeply fry in hot oil to make chips. Fry unripe fruit in coconut oil and season it with spices or salt. It is used as a substitute for potatoes in delicious savory recipes. In South Indian Kerala state, plantain chips are used as a popular snack seasoned with salt and pepper. In Dominican Republic, mashed plantains are served with fried onions. It could be used in recipes of soups and stews. The slices of cooked plantains are added to bean salads. The plantain chips could be served with black bean dip or tomato salsa. Drizzle plantains with honey and top them with a sprinkle of cinnamon for healthy dessert. 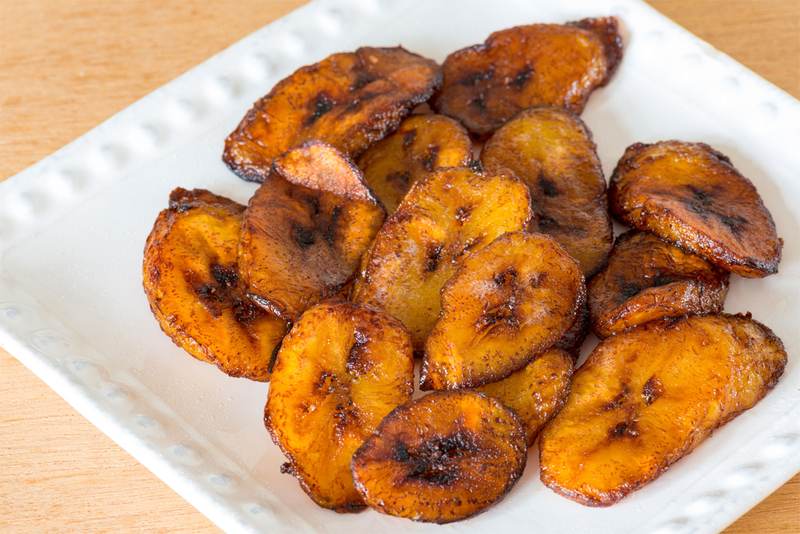 Put the slices of plantains in a bowl, sprinkle 2 tablespoons of olive oil, lightly season with salt and then toss. Dry the plantains and ground it into flour. Native Musa is inherent to tropical regions of Southeast Asia and Oceania including the Malay Archipelago and Northern Australia. Calories in 1 cup sliced (148 gm) 181 Kcal. Calories 181 Kcal. Calories from Fat 4.95 Kcal. Calories 232 Kcal. Calories from Fat 3.24 Kcal. Calories 365 Kcal. Calories from Fat 125.46 Kcal.